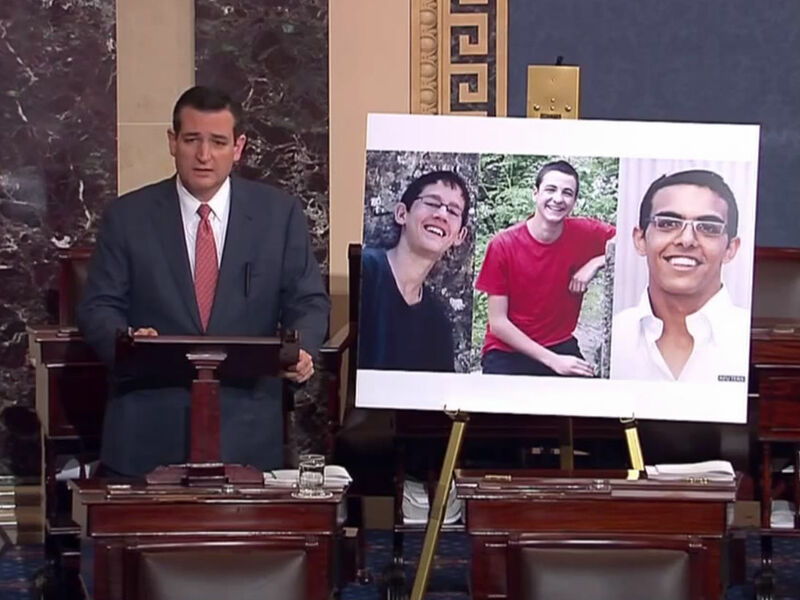 “Just imagine if these were your children, or any children you know,” Sen. Ted Cruz (R-TX) said on the floor of the Senate Thursday, making the case for the three abducted teens in Israel. The three teens, Naftali Frankel, Gilad Sha’ar and Eyal Yifrah, ages 16 through 19, were taken from a bus stop after school June 12 in the West Bank near the city of Hebron. Frankel holds dual U.S-Israeli citizenship. 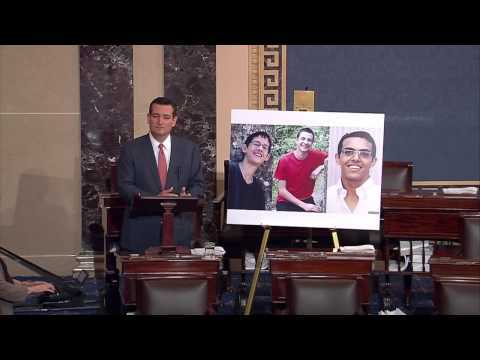 “These are teenagers who were targeted for who they are, who have done no wrong, who have done nothing that comes near to deserving what has happened to them that day while waiting at the bus stop to go home from school,” Cruz said. Until now, there have been no statements issued by President Obama. “This should be on the front page of every paper in the United States, because this is an issue which is as vital to us as it is to the nation of Israel,” Cruz said in response to lack of media attention on the story. This week Israel named Amer Abu Aysha and Marwan Kawasme, two Hamas operatives allegedly behind the kidnappings, who have been absent from their homes in Hebron since the three went missing. Israeli Prime Minister Benjamin Netanyahu has called for Palestinian leader Mahmoud Abbas to call off the recent unity deal between his Fatah government and Hamas until the boys are found. Hamas has denied that the group or these two men had any involvement in the kidnappings.